Founded in October 1963, by men of vision whose lives have been dedicated to university administration and teaching, and in varied executive capacities in business and industry and in the professions, it did not come as a surprise that they have chosen to dedicate the school exclusively to the development of aspiring young men and women who could meet the manpower requirements of our economy as a developing nation. PSBA commits to provide the students with education which will develop in them analytical thinking, self-expression, moral and social responsibility, and the skill in discovering the truth. Originally launched as a review and training center for Certified Public Accountants under the name of “PHILIPPINE ACCOUNTING AND TAXATION TRAINING SERVICES, Inc.” (PATTS), it became, in no time, one of the biggest CPA review School in the country. Form the beginning of its operation, the products of the review program have been leading the lists of successful candidates in every CPA examination. 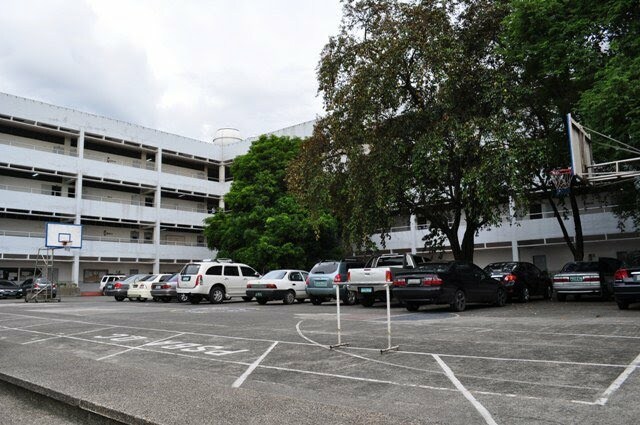 Changing its corporate name to Philippine School of Business Administration (PSBA) in 1966, it started to offer baccalaureate programs in business administration. Today, it is considered as one of leading schools of business in the country. 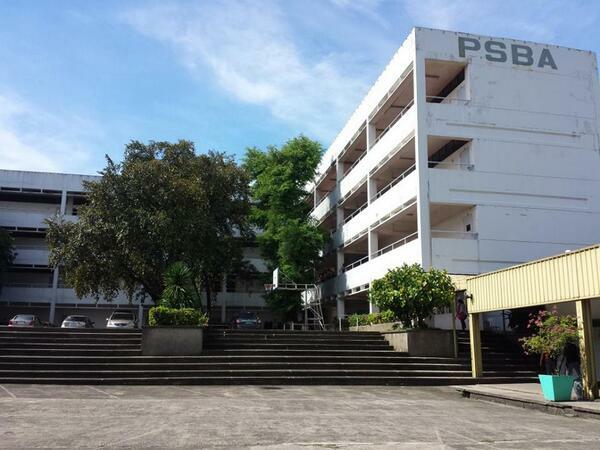 In June 1981, PSBA opened a sister school in Quezon City under the name of Philippine School of Business Administration Inc. – Quezon City which, like PSBA-Manila, has placed emphasis on quality of academic programs and scholarship. Located on a sprawling campus, this new school has, in the short period of its life, already gained acceptance of students and its enrollment has kept on growing. To help meet management requirements of the country for more advanced and sophisticated industrial and commercial life as well as for further governmental responsibilities, PSBA started to offer the MBA program in June, 1979. Effective SY 1993-1994, DECS authorized the Doctor of Business Administration (DBA) course which emphasizes creative scholarship and develops professional competence through a comprehensive understanding of management functions and strategy and for coping with future changes in the environment. These graduate programs are mainly conducted on-campus; however, occasional off-campus classes are arranged on representations of business corporations and government agencies which prefer classes to be conducted for their executive and officers in their work places because of time constraint. 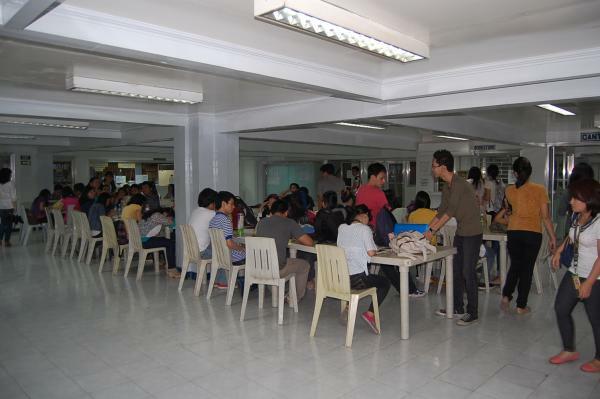 Actual off-campus classes are now in operation at the Philippine National Bank, Philippine Tourism Authority, and Congress of the Philippines (for administrative employees) and the provincial government of Rizal. Negotiations are in process with other government agencies and private establishments for similar classes. Cooperative linkages have also been with educational institutions in Asia countries where PSBA provides technical assistance in designing academic programs in business education and in providing administrative advisory services and qualified Filipino professors and instructors. Under these arrangements, we have existing tie-ups with institutions of higher learning in Indonesia and Pakistan. PSBA was conceived in the spirit of service to the Youth whose formal education in business she has to provide, and to society and the Nation as a whole whose support she must have in order for her to grow. 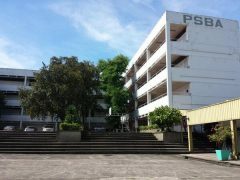 PSBA as an institution of higher learning, assumes the responsibility to educate the Youth so that they will become good citizens who will practice in their everyday life the true meaning of Christian living; and who will be able to co-exist in peace, friendship, and dignity with their fellowmen. PSBA aims to give students the knowledge for effective action; to develop in them the capacity to solve problems and reach decisions in sound and well-organized manner; and assume responsibility for their decisions. PSBA commits to equip the students with the basic essential knowledge for the specific careers for which they preparing themselves. These aims and purposes are PSBA’s response to the need of our country to prepare the Youth for their vital roles in our society. Our work should make a difference in the quality of business education in the country. To this end, we should try to discover what is the most important to do, and focus our resources for the greatest, most enduring benefits. In doing this, we should continually remind ourselves of the inherent worth of all people, and make it responsibility to be attentive to the unique needs of everybody in our school. To make a difference in the world and turn ideas into action, we must be pioneers in our field, contributors of knowledge, problem solvers, explorer of ideas and risk-takers. Our service should be worthy, vigorous, resourceful, courteous, and reliable. In pursuing our mission, we should be a healthy, creative organization with the needed financial and inner resources to produce our best work. To demand the best of ourselves and to attract, stimulate and keep the best people, we must develop an environment that will support innovation, experimentation and calculated risk-taking. As an organization we should prize the creative participation of each member of our staff; welcome open exchange of ideas and foster the practice of careful listening. We have a duty to actively encourage the personal well-being and professional development of every person who works here. We should, therefore, maximize the authority and responsibility of each person so that he can continue to make an even greater contribution. Our policies should be implemented sensitively and consistently. We recognize the inter-dependence of everyone who works in PSBA; therefore we should treat one another with respect, candor, kindness, and a sense of importance of teamwork. We should foster the spirit of service within the staff for better service to PSBA and its clientele. PSBA is what we make it – nothing less. This is to inform everyone that all transactions / inquiries made through any personal email address (@yahoo.com, @gmail.com, @hotmail.com, etc.) will not be entertained by the School. This should be done only with the official email address assigned to the School’s staff whose domain name ends with the “@psba.edu” domain. This security measure is implemented to prevent fraud and to avoid any misrepresentation made by an individual to represent the School. Thank you for your kind attention and please be guided accordingly.